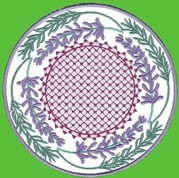 All nine of these appliqué wreaths fit the 6 x 8 inch (152 x 203mm) hoop size. 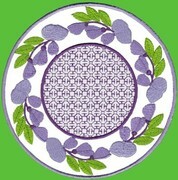 If you do not want to appliqué them onto another piece of fabric simply omit the first 3 colors. 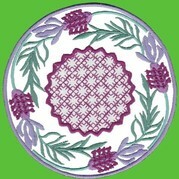 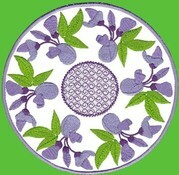 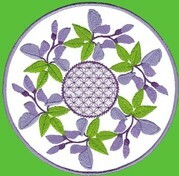 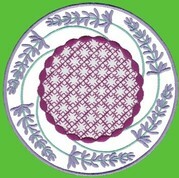 The designs can be used on dining room, kitchen and bedroom linens or to make placemats or adorn curtains. 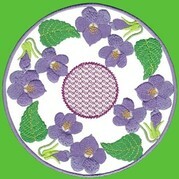 I have used them to make a striking little quilt. 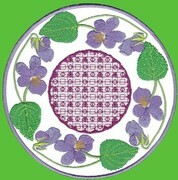 Appliqué instructions are given with the color information file. 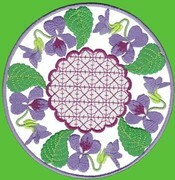 Instructions to make the pretty quilt depicted below are also included with the set.